With gratitude and joy we present this volume to honor Paul Sponheim on the occasion of his retirement after nearly forty years as a productive scholar and teacher of the church. These essays by those who have been his colleagues and students are a labor of love on behalf of one who has labored in love for truth and justice. 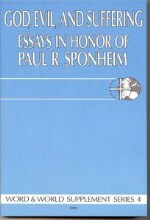 The theme of this volume, "God, Evil, and Suffering," was chosen in view of Paul Sponheim's interest in this arena of reflection. In one way or another the essays that follow address the question: How can the case for a loving God be made in the face of a world full of suffering and evil? 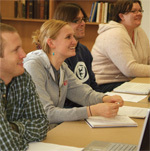 Most of the essays are oriented in terms of Paul's discipline, systematic theology; other essays in the field of Old and New Testaments, history of religions, and pastoral theology testify to Paul's broad interests, ongoing conversations, and teaching partnerships.